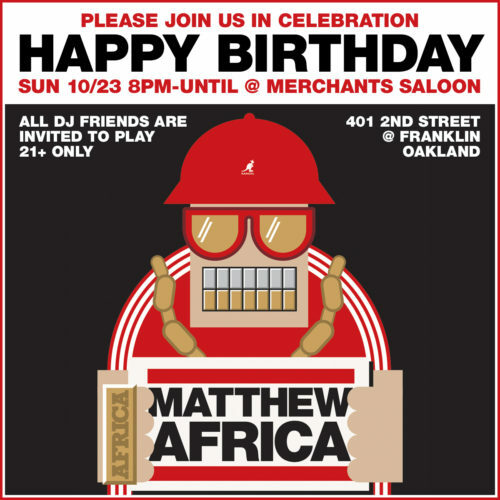 This Sunday, October 23rd, friends of the late, great DJ Matthew Africa are getting together to celebrate what would have been his 45th birthday. I like to call it Matthew Africa Day. October 28th. 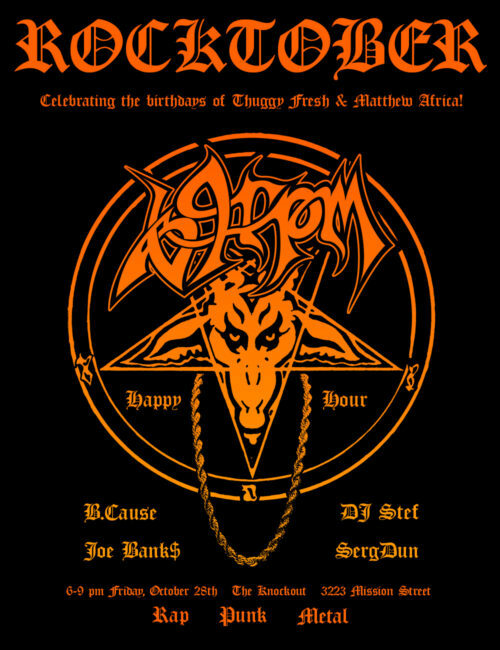 We’re celebrating the birthdays of our buds Matthew Africa (RIP) and Thuggy Fresh with special guest DJ, former resident B.Cause. 69RPM Happy Hour goes down every 4th Friday at The Knockout from 6–9 pm.